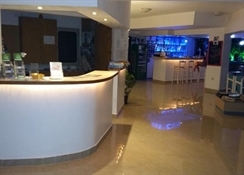 The Matina Hotel is in a quiet, peaceful location on the outskirts of Faliraki. It is just a short walk to the resort centre and one of the best beaches on Rhodes. Family-run, the Matina Hotel provides the perfect setting for a relaxing holiday in Rhodes. The Matina Hotel has 82 rooms spread across three floors. The rooms have either two or three beds with the three bedded rooms located at the ground level, making them more convenient for families. Most rooms have pool view and all have balconies or a terrace area as well as private bathroom and shower facilities, a TV, telephone and air-conditioning.Facilities onsite include one of the largest pools in Faliraki, a superb poolside bar as well as a restaurant and a late opening bar cater for all your food and drink requirements, a 24 hour mini-market for all your self-catering requirements, and for the energetic, a five-a-side football pitch which can be booked at reception. This family-run property will appeal to couples and families looking for relaxing accommodation away from the main party area of Faliraki but still within easy reach of all the resorts main attractions. 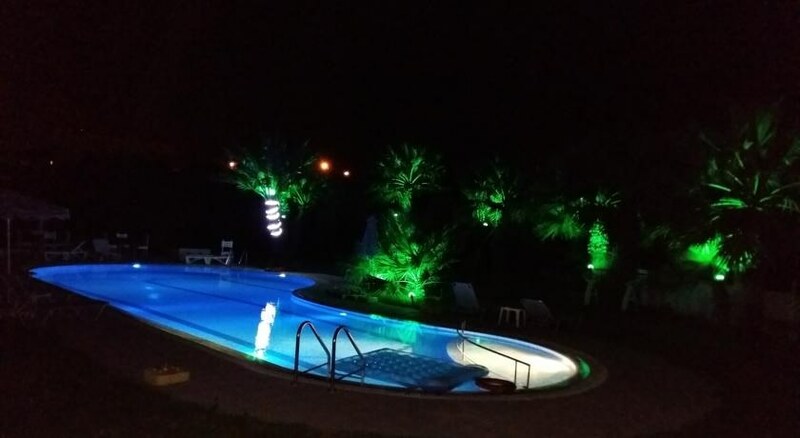 The Matina Hotel has one of the largest swimming pools in Faliraki and it is set in beautiful tropical gardens, surrounded by palms and banana trees making it the perfect place for a relaxing day. The sun loungers and umbrellas around the pool are free of charge and there is also a fantastic Jacuzzi pool for the ultimate in luxury bathing. Younger guests are also catered for with a smaller separate childrenâ€™s pool. The main attraction at the Matina Hotel, apart from the pool is the traditional taverna style pool bar area. This open air, well shaded pool bar offers a relaxing atmosphere and opens from 10am to 6pm every day. The bar serves a wide variety of snacks and grilled food plus, a large selection of cool, refreshing and exotic drinks, and it is also the location for the popular Sunday BBQ â€“ an evening not to be missed! There is also a light and airy restaurant area, traditional in style and dÃ©cor, where you can enjoy buffet style continental breakfast every morning from 7.30am to 10am. A picnic service is available for guests taking excursions or leaving the hotel for the day and in the evening you can indulge in a wide variety of Greek and international cuisine with a buffet style salad and a two course home-cooked meal (two menu options) from 6.30pm to 9pm. Finally there is a bar which is open from 5pm till late every day. Well stocked with a variety of international spirits, beers, tropical cocktails and local specialties, the bar also serves snacks and has two televisions, showing a variety of programs and sports (football, golf, tennis etc).